Pathfinder in flight over Hawaii. 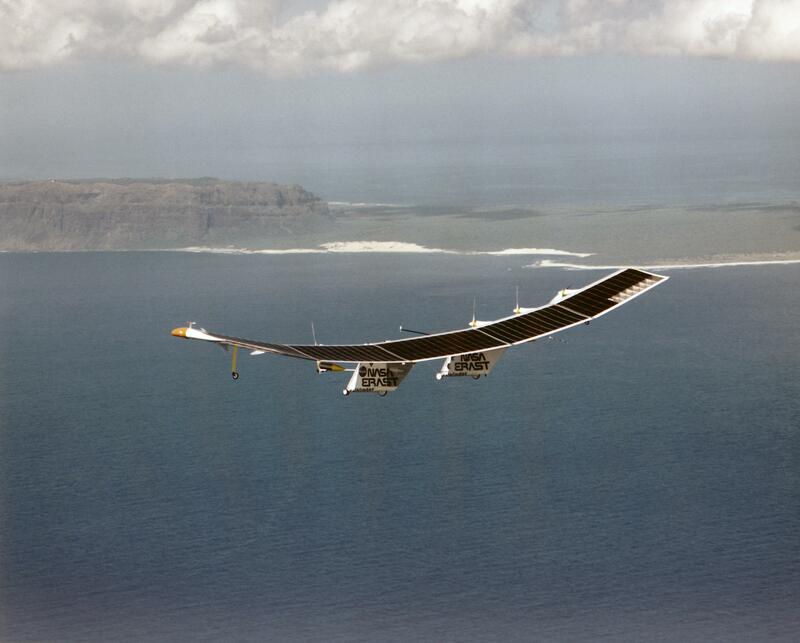 An aircraft that could stay aloft all day, powered only by sunlight. An aircraft that is no more than a flying wing, able to maneuver without rudders, ailerons, tails, or other control surfaces typical of conventional aircraft. An aircraft that flies without an onboard human pilot, but instead is controlled remotely from a ground station. At the NASA Dryden Flight Research Center at Edwards, CA, imagination has become reality, and that reality is the Pathfinder solar-powered, remotely piloted aircraft. The Pathfinder is a lightweight, solar-powered, remotely piloted flying wing aircraft that is demonstrating the technology of applying solar power for long-duration, high-altitude flight. It is literally the pathfinder for a future fleet of solar-powered aircraft that could stay airborne for weeks or months on scientific sampling and imaging missions. Solar arrays covering most of the upper wing surface provide power for the aircraft’s electric motors, avionics, communications and other electronic systems. Pathfinder also has a backup battery system that can provide power for between two and five hours to allow limited-duration flight after dark. 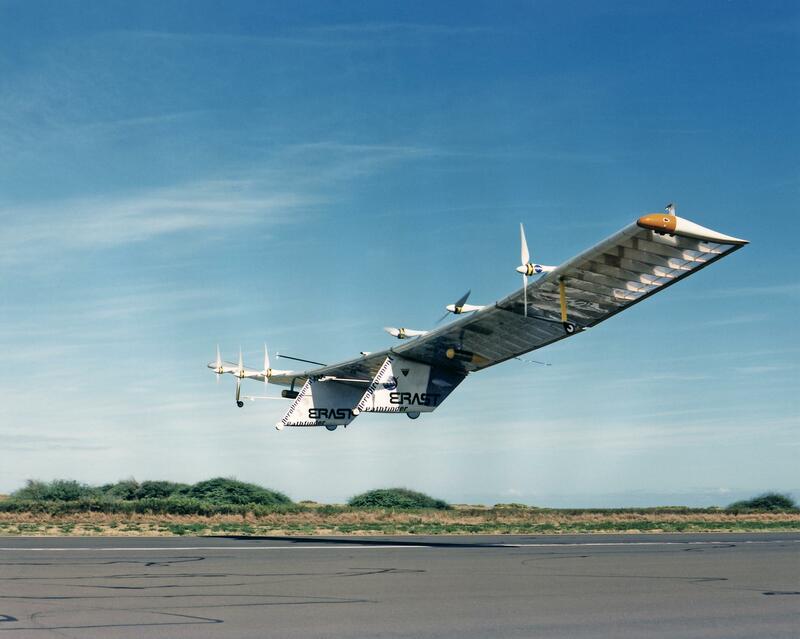 Pathfinder was designed, built and is operated by AeroVironment, Inc., of Monrovia, CA, the firm that developed the pioneering Gossamer Penguin and Solar Challenger solar-powered aircraft in the late 1970’s and early 1980’s. Pathfinder was first developed for a now-canceled classified government program in the early 1980’s to develop a high-altitude, long-endurance aircraft for surveillance purposes. Known as the HALSOL (for High-Altitude SOLar) aircraft, its eight electric motors  later reduced to six  were first powered by batteries. After that project was canceled, the aircraft was placed in storage for 10 years before being resurrected for a brief program under the auspices of the Ballistic Missile Defense Organization (BMDO) in 1993. With the addition of small solar arrays, five low-altitude checkout flights were flown under the BMDO program at NASA Dryden in the fall of 1993 and early 1994 on a combination of solar and battery power. After that program was ended, the aircraft was adopted into NASA’s newly-established Environmental Research Aircraft and Sensor Technology (ERAST) project in late 1994. After further flight tests at Dryden that year, additional solar cells were added, eventually covering most of the upper surface of the wing. Pathfinder was then brought back for another series of development flights at NASA Dryden in 1995. 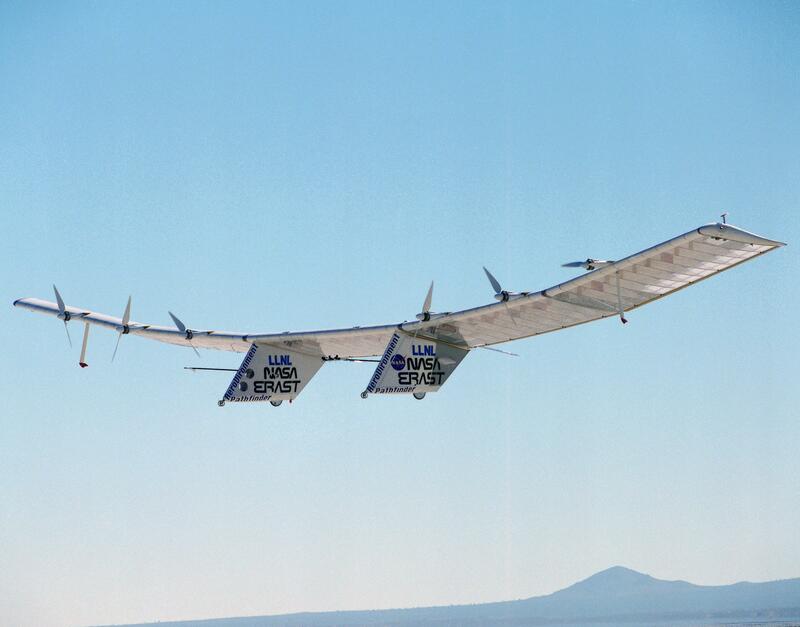 On Sept. 11, 1995, Pathfinder reached an altitude of 50,500 feet, setting a new altitude record for solar-powered aircraft. The National Aeronautic Association presented the NASA-industry team with an award for one of the “10 Most Memorable Record Flights” of 1995. After additional upgrades and one checkout flight at Dryden in late 1996, Pathfinder was transported to the U.S. Navy’s Pacific Missile Range Facility (PMRF) at Barking Sands, Kaua’i, HI, in April, 1997. Kaua’i was chosen as an optimum location for testing the solar-powered Pathfinder due to predictable weather patterns, high levels of sunlight, available airspace and radio frequencies and the diversity of terrestrial and coastal ecosystems for validating scientific imaging applications. While in Hawaii, Pathfinder flew seven high-altitude flights from PMRF, one of which reached a world altitude record for propeller-driven as well as solar-powered aircraft of 71,530 feet. During 1998, the Pathfinder was modified into the longer-winged Pathfinder-Plus configuration. On Aug. 6, 1998, the modified aircraft was flown to a record altitude of 80,201 feet for propeller-driven aircraft on the third of a series of developmental test flights from PMRF on Kaua’i. The goal of the flights was to validate new solar, aerodynamic, propulsion and systems technology developed for the Pathfinder’s successor, the Centurion/Helios Prototype, which was designed to reach and sustain altitudes in the 100,000-foot range. Essentially a transitional vehicle between the Pathfinder and the follow-on solar wings, the Pathfinder-Plus is a hybrid of the technology that was employed on Pathfinder and developed for Centurion/Helios. The most noticeable change is the installation of a new 44-foot-long center wing section that incorporates a high-altitude airfoil designed for Centurion/Helios. The new section is twice as long as the original Pathfinder center section and increases the overall wingspan of the craft from 98.4 feet to 121 feet. 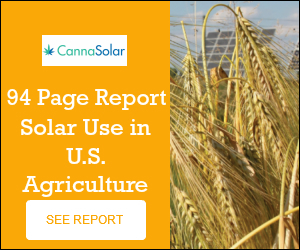 The new center section is topped by more-efficient silicon solar cells developed by SunPower Corp., Sunnyvale, CA, that can convert almost 19 percent of the solar energy they receive to useful electrical energy to power the craft’s motors, avionics, and communication systems. That compares with about 14-percent efficiency for the older solar arrays that cover most of the surface of the mid- and outer wing panels from the original Pathfinder. Maximum potential power was boosted from about 7,500 watts on Pathfinder to about 12,500 watts on Pathfinder-Plus. In addition, the Pathfinder-Plus is powered by eight electric motors, two more than powered the previous version of Pathfinder. Designed for the Centurion/Helios Prototype follow-on solar wings, the motors are slightly more efficient than the original Pathfinder motors. The Pathfinder-Plus also validated a new flight control system for the Centurion/Helios Prototype, although only the Pathfinder’s own system actually controlled the motors and control surfaces. Major science activities of Pathfinder missions have included detection of forest nutrient status, forest re-growth after damage caused by Hurricane Iniki in 1992, sediment/algal concentrations in coastal waters and assessment of coral reef health. Science activities are coordinated by the NASA Ames Research Center, Moffett Field, CA, and include researchers at the University of Hawaii and the University of California. Thus far, Pathfinder has flight tested two new scientific instruments, a high spectral resolution Digital Array Scanned Interferometer (DASI) and a high spatial resolution Airborne Real-Time Imaging System (ARTIS), both developed at Ames. These flights were conducted at altitudes between 22,000 and 49,000 feet in 1997. 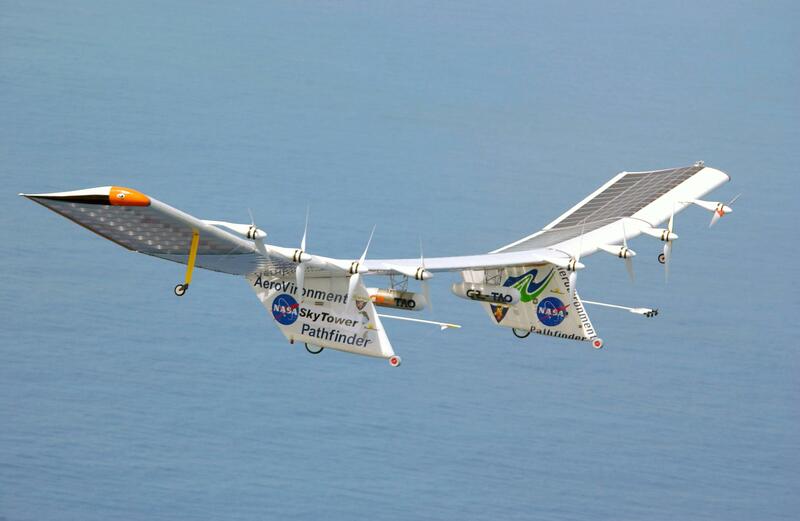 During the summer of 2002, the Pathfinder-Plus flew several demonstration missions to confirm the practical utility of high-flying, remotely piloted, environmentally friendly solar aircraft for commercial purposes. A two-flight series in July funded by Japanese communications interests and AeroVironment emphasized its potential as a platform for telecommunications relay services, and another NASA-funded demonstration in September saw the Pathfinder-Plus soaring aloft on a NASA-sponsored coffee harvest optimization imaging mission. Both missions were flown from PMRF on the Hawaiian island of Kaua’i. Remotely piloted, solar-powered aircraft similar to Pathfinder, such as the follow-on Helios ultra-long-duration flying wing now being developed, could spend long periods over the ocean, monitoring storm developments to provide more accurate hurricane predictions. These aircraft also could be used to monitor major croplands, forests and other large, remote expanses to provide early warning of crop damage or fires. In addition to their commercial communications relay potential, they could also be instrumental in quickly establishing emergency communications links for recovery and relief workers in areas struck by natural disasters where existing communications infrastructure has been crippled. Pathfinder in flight over California’s Mojave Desert. Pathfinder is one of several remotely piloted aircraft being evaluated under NASA’s Environmental Research Aircraft and Sensor Technology (ERAST) project. The ERAST project is one of NASA’s initiatives designed to develop the new technologies needed to continue America’s leadership in the highly competitive aerospace industry. Additional technologies considered by the joint NASA-industry ERAST Alliance include lightweight materials, avionics, sensor technology, aerodynamics, and other forms of propulsion suitable for extreme altitudes and duration. The most extreme mission envisioned for solar-powered aircraft such as Pathfinder’s successor, the Helios, would reach altitudes of up to 100,000 feet for science and commercial applications, as well as fly for weeks or months at a time on extended duration missions with the assistance of a fuel cell-based supplemental energy system for nighttime flight. The ERAST project is sponsored by the Office of Aerospace Technology at NASA Headquarters, and is managed by the NASA Dryden Flight Research Center. Gross weight: Pathfinder about 560 lb (252 kg. ); Pathfinder-Plus about 700 lb (315 kg.). Airspeed: Approx. 17-20 mph cruise. Power: Arrays of solar cells, maximum output: Pathfinder about 7,500 watts; Pathfinder-Plus about 12,500 watts. Motors: Pathfinder, six electric motors; Pathfinder-Plus, eight electric motors, 1.5 kW maximum each. Endurance: About 14 to 15 hours, daylight limited with two to five hours on backup batteries. Glide ratio (power off): Pathfinder 18 to 1; Pathfinder-Plus 21 to 1. Manufacturer: AeroVironment, Inc., Monrovia, CA. Primary materials: Carbon fiber, Nomex, Kevlar, plastic sheeting and plastic foam.